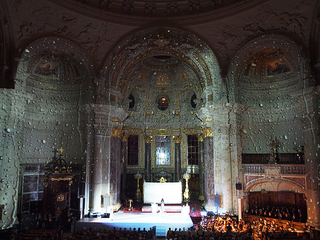 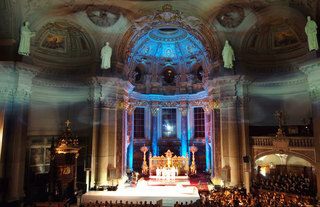 The classic oratorium "The Creation" by Josef Haydn was staged in a contemporary version by director Christoph Hagel including orchestra,choir, solo singers, street dance ensemble and video mapping on the interior of Berlin's largest catherdal, the "Berliner Dom". 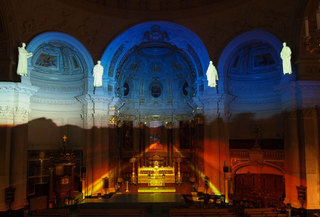 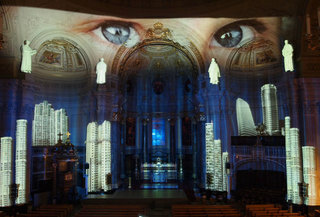 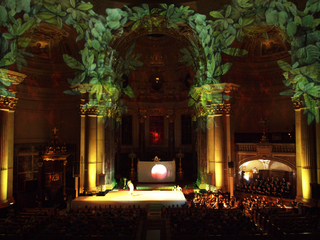 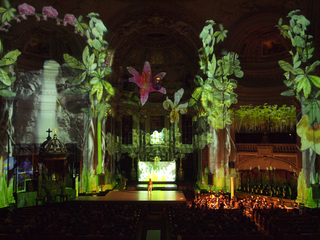 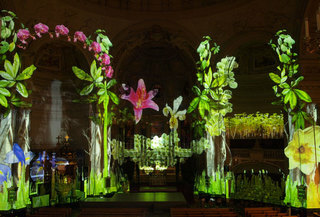 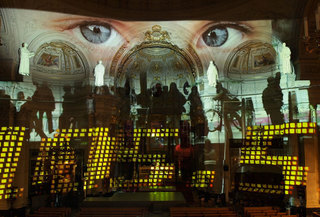 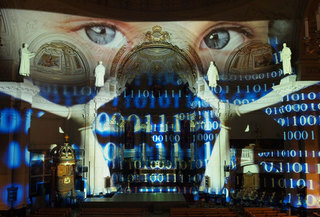 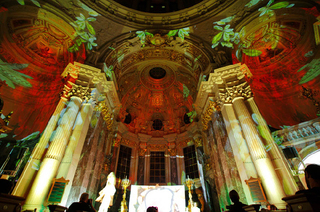 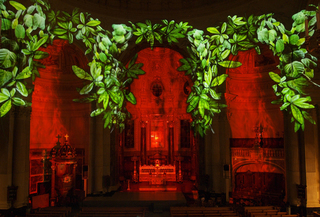 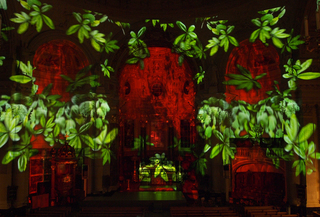 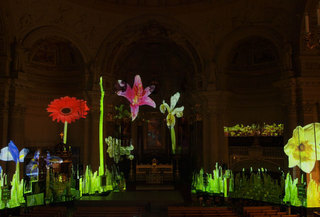 The video content and mapping was created by Tina Zimmermann, Daniel Bandke and Marco Moo using 6 Softedge-Videoprojections to form one large image on the entire front side of the church, and 2 Videoprojections for the screen covering the altar. 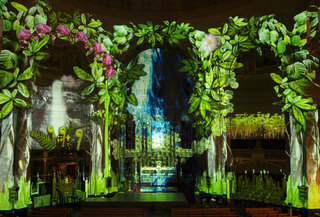 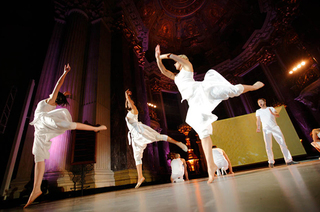 Scenes were illustrated with videoanimations mapped onto the columns, arches and surfaces, some were developed as interactions with the dancers and their choreograhy.